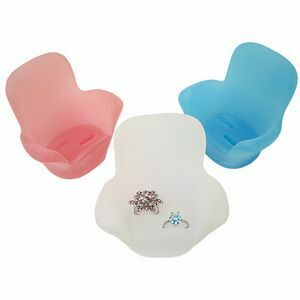 Attractive chair shaped ring display holds a pair of rings. Made of a durable frosted acrylic. Dimensions: 3.25" H x 3.63" W. Colors: blue, clear, pink.